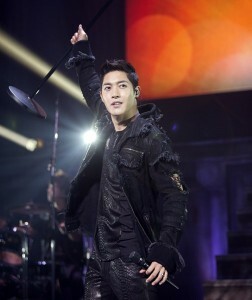 Kim Hyun Joong will be releasing his third Japanese single. The single album will have 3 songs and come in 5 different versions with various jacket photos featuring different concepts. The 5 different version includes 3 different limited editions that will include a DVD with the music video to 3 new songs, a supplement version that contains photocards, and a normal version. He has released “Break Down“, “HEAT“, and ‘UNLIMITED‘ in Japan before, trying out the genres of dance, rock, and ballad. It’s been reported that he will be trying out another genre for this new single album that will be released on June 5.
next [en][de] F.T. Island releases practice video for “Life”! [en][de] Kim Hyun Joong is back with his MV for “Unbreakable (ft. Jay Park)”! [en] Kim Hyun Joong to come back with his new album “Round 3”!